Military spouses also deserve a career! The challenge for military spouses is being relocated every two to four years. Finding permanent, career positions with frequent relocations is difficult. But the one employer with positions and careers at every military base is the US Government. The Stars Are Lined Up for Military Spouses is dedicated to helping military spouses navigate the complex federal job application system. SKU: KT42185. Category: Careers. 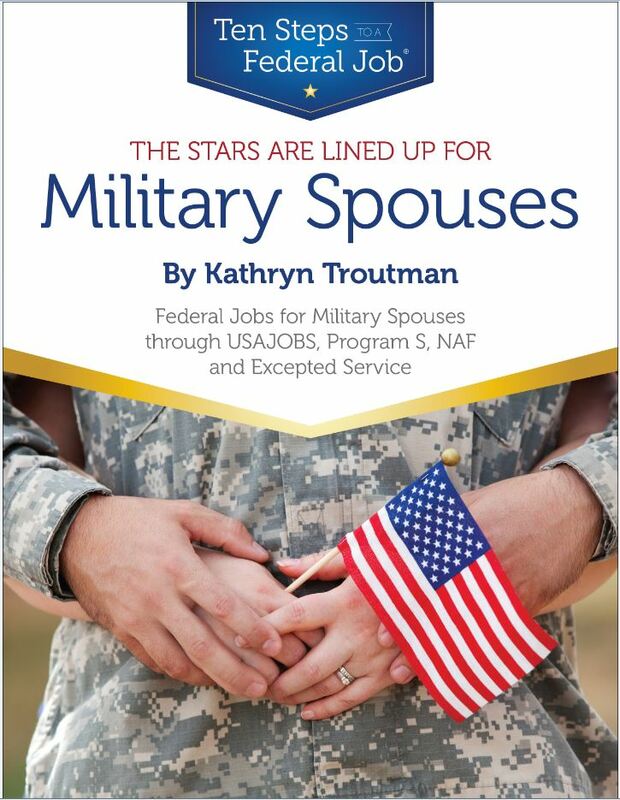 Tags: careers, federal jobs, Kathryn Troutman, military bases. US government, military spouses. Each of these paths requires different job search techniques and tips. Kathryn Troutman, known as the Federal Resume Guru, shares straightforward strategies based on her 40+ years of expertise with resume writing and career coaching. Military spouses will be encouraged and equipped to take control of their career. Kathryn Troutman lives in Catonsville, MD and is the founder and president of The Resume Place, Inc., a service business located in Baltimore, MD. The Resume Place specializes in writing and designing professional federal and private-sector resumes, as well as coaching and education in the federal hiring process. For the past 40 years, Troutman has managed her professional writing and consulting practice, publishing, and federal career training business. With her team of 20 Certified Federal Resume Writers, The Resume Place advises and writes more than 300 federal resumes per month for military, private industry, and federal clients world-wide. Internationally recognized as the Federal Resume Guru by federal job seekers and federal human resources specialists, Troutman created the format and name for the new federal resume that became an accepted standard after the SF 171 form was eliminated in 1995. She is the pioneering designer of the Federal Resume based on her first book, the Federal Resume Guidebook 9780986142123, which already is in the 6th edition.